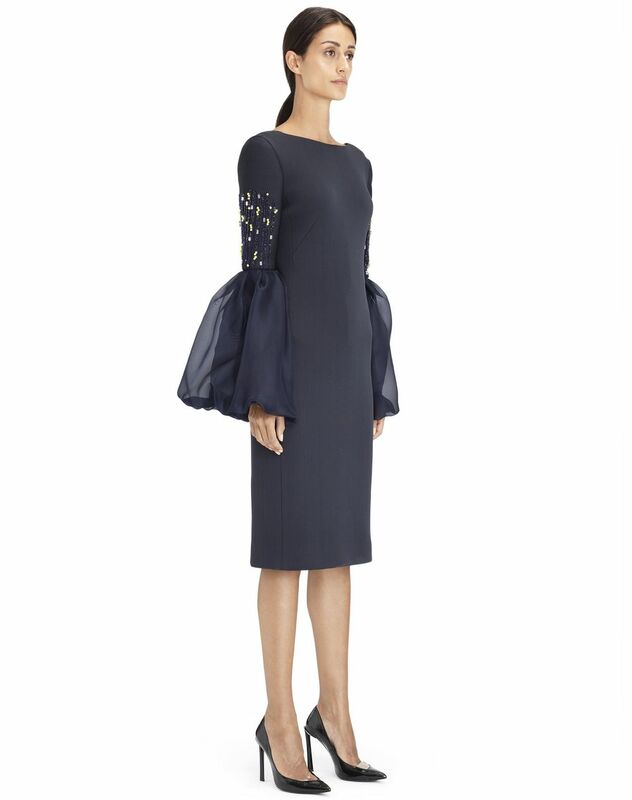 Fitted dress in anthracite silk neoprene, puffed silk organza sleeves with embroidered beads, knee length, low-cut on the back, and invisible zipper. 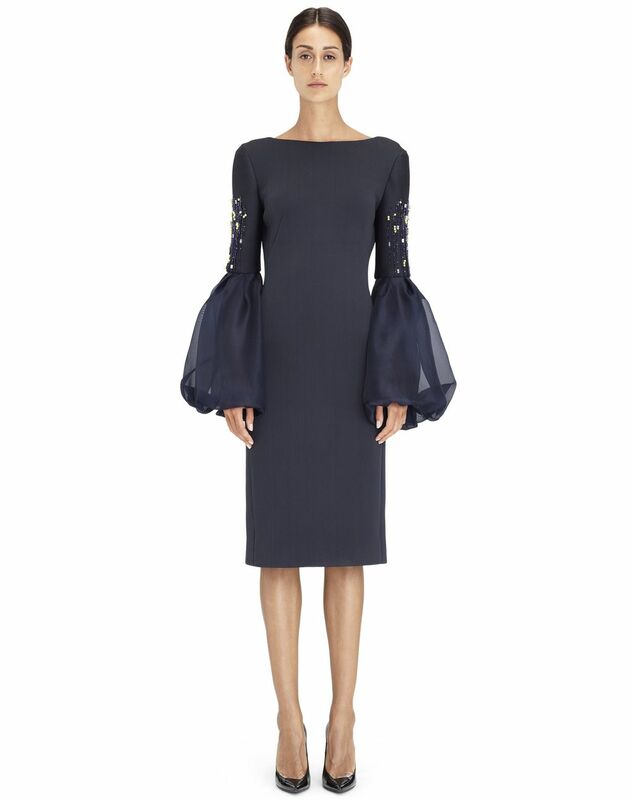 A key piece from the Winter 2018 show, this cocktail dress stands out for its fitted shape and puffed organza sleeves. 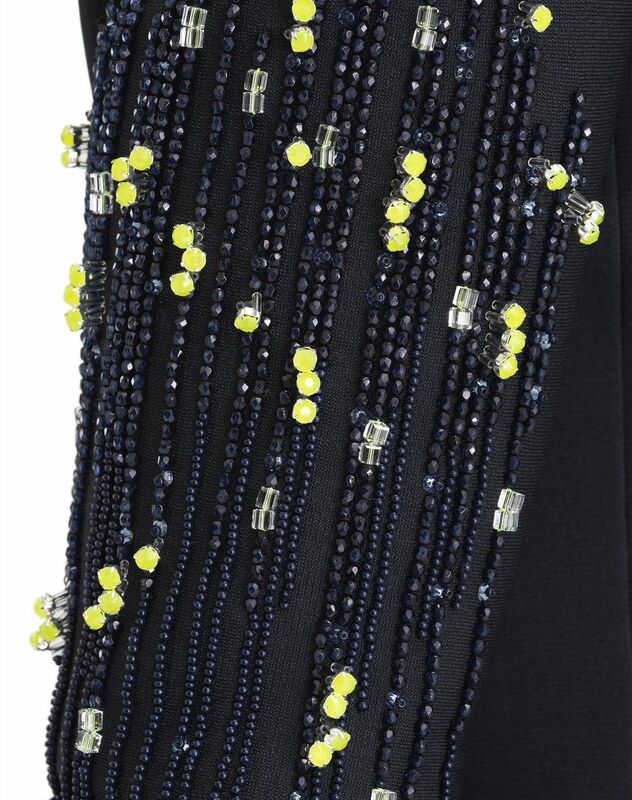 The embroidered beaded detail provides contemporary, elegant flair. 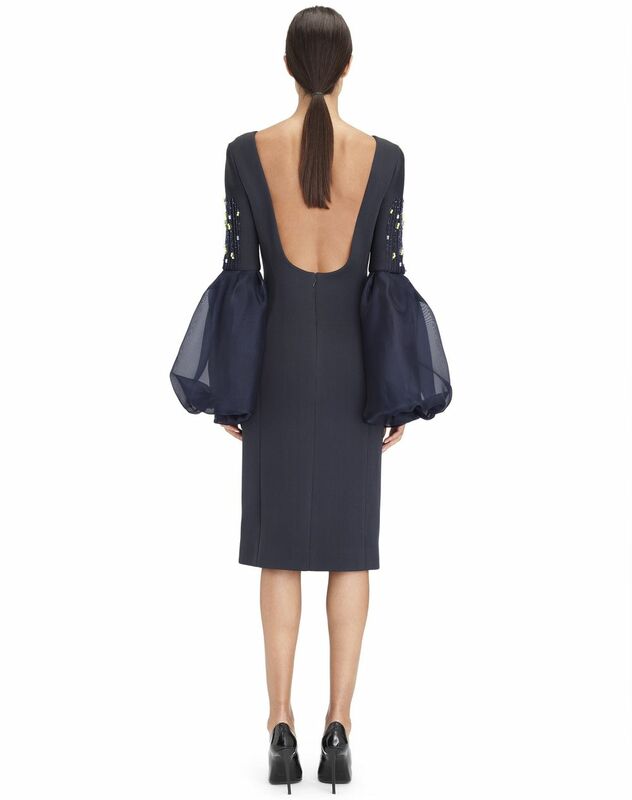 This piece was unveiled in look 25 of the women’s Winter 2018 show. 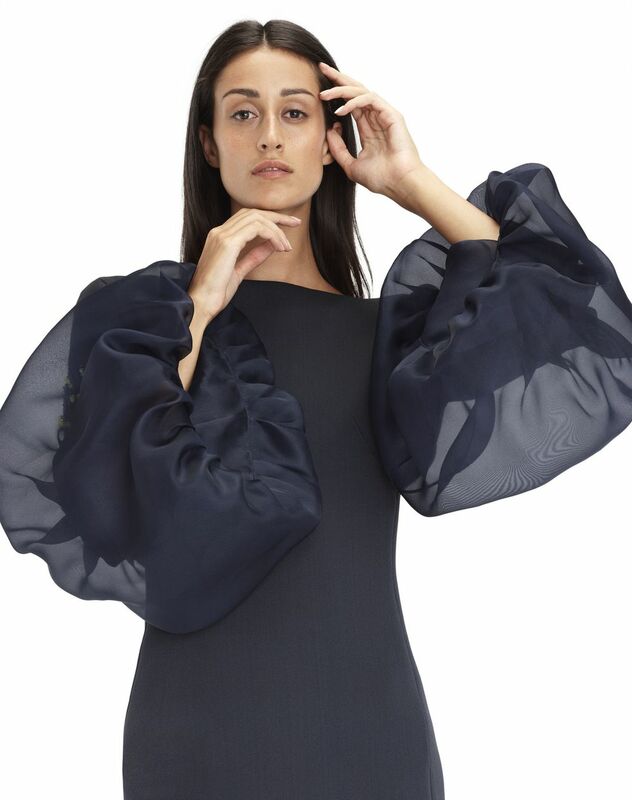 Main material: 76% polyamide weave, 24% silk weave. Secondary material: 100% silk weave. Lining: 95% silk weave, 5% elastane weave. Length: 37.4” Model’s measurements: Height: 5’ 10” Chest: 33.5” Waist: 23.6” Hips: 35” Model wears a size 4. Made in Italy.